And here it is the last post of Day 7 and the last post for the Fashion week (finally I hear you say – hehe) yea I know. I will probably give you a break after this week, might even hold to some of my scheduled posts! Anyways back to the post, and the show which saw me eagerly waiting for the new collection by Nilara titled Insomnia. I will share a secret with you, I live quite close to the shop Nilara has in Paola, and I am most of the time lusting and drooling over the exquisite and lovely pieces adorning the shop window. 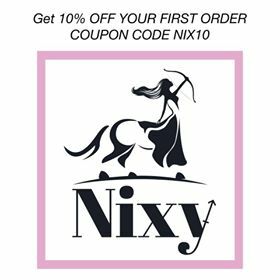 Even yesterday, you could see her work being worn very beautifully by bloggers and guests showcasing some lovely pieces by Nilara and I do hope to have a special occasion soon so I can go and personally check the shop out. Premising the quote her and that I stand to what I said above, I must admit that it was a truly different collection, describe as avant-garde it threw me off as I kind of was expecting her signature of beautifully breath taking dresses, fit for women to feel like a princess. I take it that it was her aim and she did say that this collection was not for the light hearted. I command her bold choice of real leather, lace and organza, but I felt that all of them put together in various gowns was a bit too brave for our local scene and heavy on the eye. Nilara is synonymous to high end occasional dresses but somehow, I find it difficult to see me going to a wedding or special function with a full, floor length leather piece. Still happy to have witness her good craftsmanship and attention to detail and I will still visit the shop. Disclaimer : All photos in this post belong to #JasonSpiteri for #MFWA2016 – www.jasonspiteri.com © and have been used to the purpose of this post as part of Malta Fashion Week.